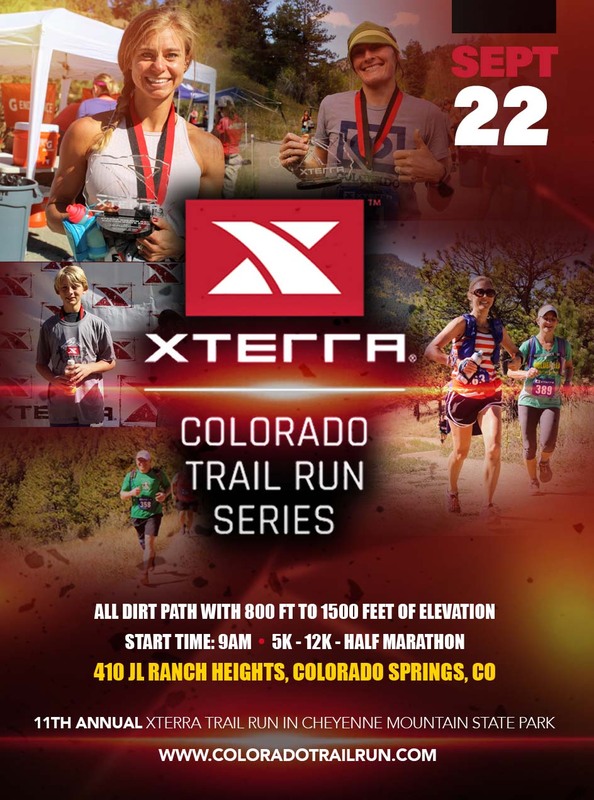 Join us at the 11th annual XTERRA Half Marathon, 12K and 5K trail run at the Cheyenne Mountain State Park in Colorado Springs. This event is the original trail marathon race at Colorado Springs' Cheyenne Mountain State Park. Since it's inception thousands of runners have enjoyed this 'uphill/downhill' distance trail race. A rolling course that will give everybody more of what they have come to expect. At this trail race you'll experience an infinite variety of ascent, descent and terrain. The all-dirt race trails will take runners to thin-air elevations ranging from 6,500 to 7,200 feet above sea level. In other words, one heck of a lot of fun.